Chiropractors Shenton Park Welcome You! Experience the highly effective approach to better health at Shenton Park Family Chiropractic! Dr Rebekah Riches and Dr Holly Davies are dedicated to building a healthier community, one person at a time. From the moment you call our practice, you will know that we offer something different from anything you have encountered before. We will provide a supportive environment on your journey to improved well-being. Our skilled and knowledgeable team were selected based on their vast education and experience, ensuring that you receive the highest quality of healthcare available. 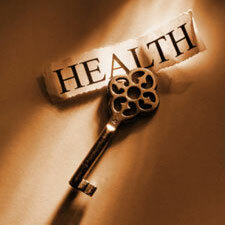 Our vision is for Shenton Park Family Chiropractic to be a hub for managing your health. We seek to find the cause of your concerns, so that we can provide you with the best recommendations for care. Our approach involves the least amount of force required to make the largest possible change. With gentle methods, you can be comfortable while seeing the results you desire. We customise each individual care plan to be aligned with your needs and goals. Experiencing optimal health is a lifelong process. Our team is constantly learning and researching, ensuring we offer you the latest techniques and equipment for the most successful outcomes. We will provide ongoing assistance and encouragement, so that you and your family can continue living life to the fullest. From children to retirees and everyone else in between, Shenton Park Family Chiropractic is here for you. We look forward to meeting you and discussing your personal health goals. Same-day appointments are available for immediate attention, and Saturday visits are offered for your convenience. Contact us today!